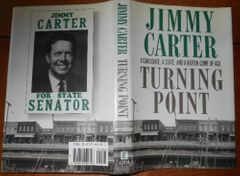 Turning Point hardcover book autographed in black marker on the inside cover by author and former president Jimmy Carter. 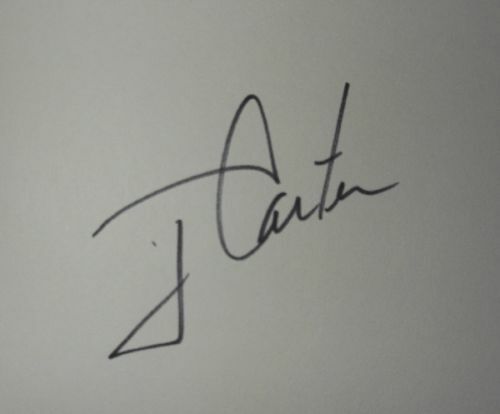 From a book signing many years ago, with certificate of authenticity from AutographsForSale.com. 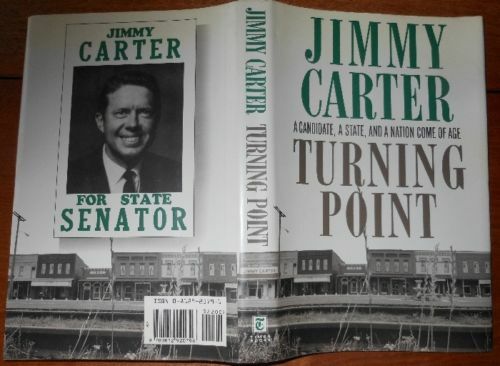 Left and right inside flaps of dust jacket has price sliced off and vertical crease, respectively; book itself is perfect. ONLY ONE AVAILABLE FOR SALE.